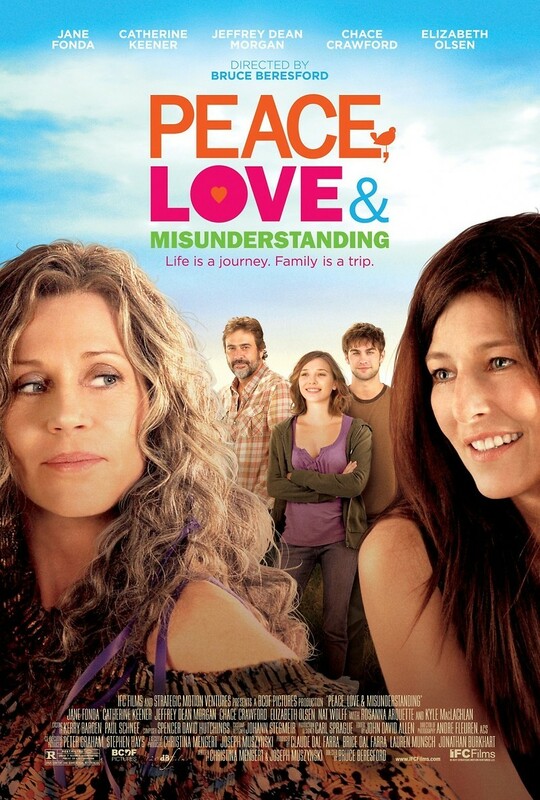 Peace, Love, & Misunderstanding DVD and Blu-ray release date was set for October 2, 2012. In the wake of her husband’s announcement that he wants a divorce, New York lawyer Diane finds her life unraveling. She packs up her children Zoe and Jake and heads to the town of Woodstock to spend some time on her mother’s farm and try to gain some perspective. This is a desperate move as the two of them have been estranged for years. Diane’s mother Grace is a former hippie. Surprisingly, the transplanted family finds acceptance and new life in Woodstock. Zoe falls for a young man named Cole, and Jack is inspired to begin working on a film. Diane and Grace find new ways forward in their relationship as well.